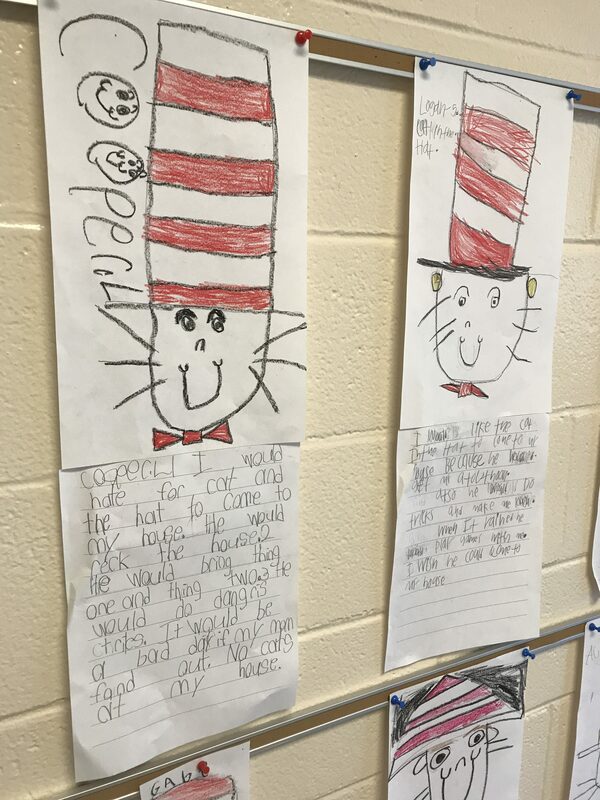 Students in Mrs. Noland’s First Grade class are celebrating the life of Dr. Seuss this week. 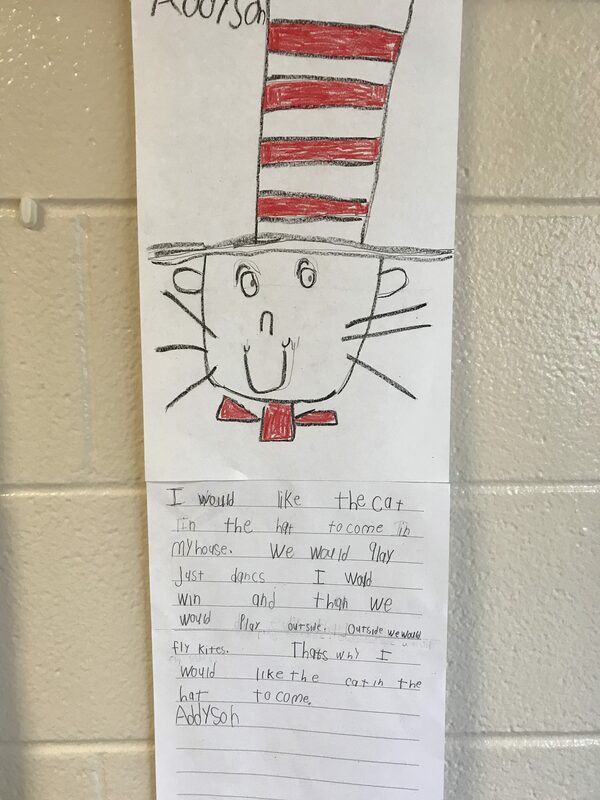 They have been writing persuasive pieces about what the Cat in the Hat should stay in their house. Students in Kindergarten and First Grade have been dressing up this week from hats to crazy socks in honor of Dr. Seuss’ creativity.